A man buys an article for Rs. 30 and sells it for Rs. 35. 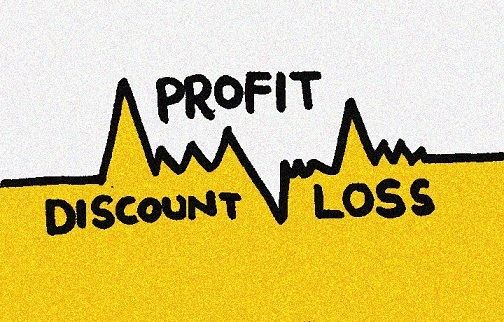 Find the profit percentage. If a book is purchased for Rs. 500 and sold for Rs. 470. Find the loss percentage. Find the selling price when cost price is Rs. 57 and Profit percent is 25%. Find the cost price when selling price is Rs. 51.70 and the loss percent is 12%. A person got 10% loss by selling a watch for Rs. 1260. At what price should he sell the watch to earn a profit of 5%? A pen was sold for Rs. 27.50 with a profit of 10%. If it is sold for Rs. 25.75 then what would have been the percentage of profit or loss? If the cost price is 82% of the selling price, then what is the profit percent? If the cost price of 25 articles is equal to the selling price of 20 articles. Find the gain or loss percentage. By selling 40 books, a man gains the selling price of 16 books. Find the gain percent. A man bought chocolates at 5 for Rs. 10 and sold the, at 4 for Rs. 6. Find the gain or Loss percent.